Siri, Google Now, Cortana, Alexa -- yawn! We look at three new virtual assistants that raise the bar for usefulness, interactivity and personalization. We all need a little help sometimes. 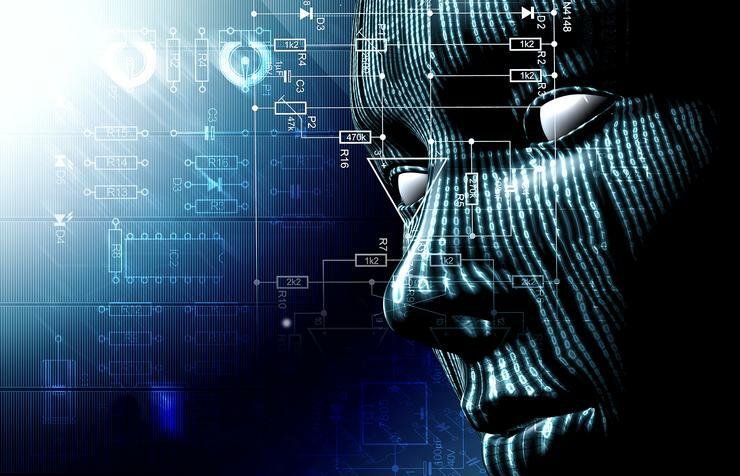 After all, what are cloud-based, artificially intelligent software agents for? By now we're all familiar with the usual suspects: Siri, Google Now, Cortana and Alexa. They introduced most of us to the idea of talking to, rather than via, a phone, computer or home appliance. But let's face it: These virtual assistants have become boring, banal commodities. Sorry, Siri: Your jokes are stale and your evolution slow. More than anything else, Siri, Google Now, Cortana and Alexa have left us wanting agents that can understand and interact with us better, independently take action in the real world for us -- and even change our lives. Get ready to upgrade: A new crop of virtual assistants is on the way, led by Amy, Shae and Otto. Each in its own way represents the future of virtual assistants. One is in public beta, one is in private beta and one is a hardware prototype, but they're coming soon, and they collectively reveal how much better virtual assistants can be. Amy does one thing really well: scheduling your meetings. Amy is the creation of a New York startup called x.ai. Right now there's a waiting list. But once you reach the top of the list and start using it, here's how Amy works. 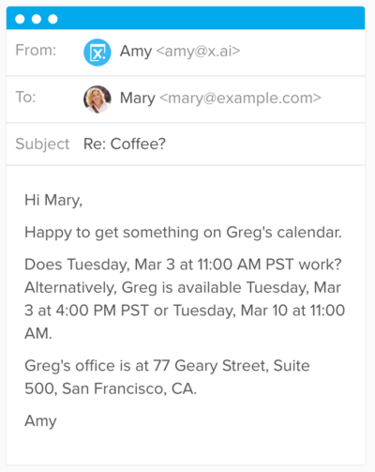 If you didn't know x.ai's Amy was a virtual assistant, you'd probably assume she was human. You simply cc: Amy's email address on your communication about the scheduling of any meeting, and Amy takes over. Amy is "invisible software" -- there's no app to install, no website to interact with. Amy is adept with natural language processing, which means you can use everyday language. For example, you might send an email to a colleague, copying Amy, and say: "Hey, let's get together next week" or "Grab a bite next week?" or "We should connect." Amy will then take action, introduce herself to the other person and, based on your calendar and preferences, will suggest a time to meet. Amy is interactive. If the person you want to meet with gets back to Amy with restrictions or additional suggestions, Amy handles all the back-and-forth that often attends the hunt for a mutually agreeable meeting time. If you want to know how it's all going, you can send an email to Amy and ask how the meeting with so-and-so is going and Amy will reply with the current status. If anyone wants to reschedule later, Amy handles that in the same way. Best of all, Amy does the heavy lifting when you need to reschedule. Let's say you decide to take a last-minute vacation. Just send an email to Amy and say: "Clear my schedule for next week." If you've got ten meetings scheduled, Amy will reach out to all ten people to reschedule and will update your calendar. Amy works great, according to my own tests. The assistant reliably and consistently seems to "understand" communication about meetings, and takes appropriate action. Amy represents the future of virtual assistants for two reasons. First, it's a specialist agent, doing one thing very well. Second, Amy is believably human. Within the confines of email conversations on the subject of scheduling meetings, Amy passes the Turing test. In the future, human customer service operators will be aided by artificial intelligence and A.I. will be helped by humans. The public will neither know nor care whether various assistants and agents are real or artificial intelligence. Good virtual assistants look out for you. That's why Shae is a great example of the future of virtual assistants. Shae helps you get healthy by guiding and informing you about healthy living all day, every day. 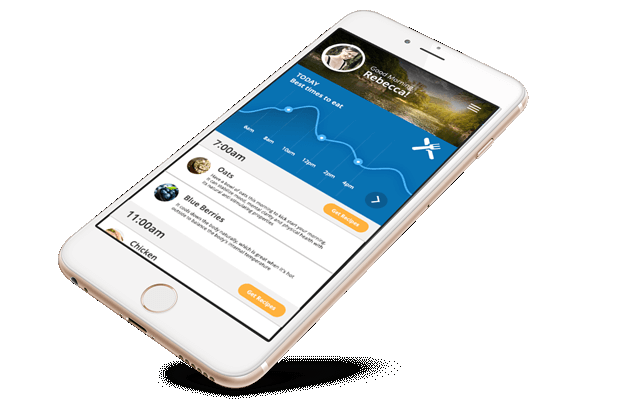 The Shae virtual health assistant from Personal Health 360 takes into account thousands of data points to provide highly personalized advice. The company behind Shae, Personal Health 360 (PH360), throws around some big numbers. It claims Shae uses some 500 algorithms fed by more than 10,000 data points to provide very specific help for users. That's a lot of data, and it comes from unexpected places. For example, family history is taken into account, individual body type and environmental factors like the weather and pollen count. Much of the health data Shae uses comes from a personalized phenotype questionnaire that each user fills out. Shae additionally accesses both your calendar and biometrics as detected from a monitoring device like the Apple Watch to figure out what your mood might be. When it detects signs of stress such as an elevated heart rate, the app pops up a dialog to ask you if you're feeling stressed. Like Google Now, Shae takes the initiative to give you information, updates and advice, telling you what to eat, when to exercise and keeping tabs on changing health data, such as your body mass index (BMI, an estimate of body fat based on height and weight), lean muscle mass, weight and body measurements. Shae even helps you plan vacations based on your personal profile and circadian rhythm. PH360 exceeded its initial goal of raising $100,000 in Kickstarter crowdfunding. Shae is now in private beta, with global release planned for this fall. An annual subscription will cost $197. Over time we'll learn if users are thrilled with the Shae assistant. Whether Shae succeeds or fails, the service represents the future of virtual assistants because of its extreme personalization and the eclectic nature of the data, integrating family history, personal health details, health knowledge, environmental data and more -- and for its preemptive advocacy of habits that benefit the user. Like the Amazon Echo, which is possessed by a virtual assistant named Alexa, the Otto is an Internet-connected speaker and microphone that interacts with you via spoken conversations and can control home automation appliances like lights. Otto can answer questions, order products, and play music and podcasts on command. Samsung's Otto is a prototype virtual assistant appliance. It's a lot like the Amazon Echo, but with an HD camera. Read more: Apple Siri vs Microsoft Cortana vs Google Now vs Amazon Echo Alexa: Which is the best voice control technology? But unlike the Echo, Otto is also an HD security camera that can stream video live to your phone or computer. The device has a kind of head that can turn, pivot and swivel to let you look around the room remotely. Otto can also recognize faces -- and even has a rudimentary face of its own, displayed on a screen. It's based on Samsung's ARTIK IoT platform, which Samsung recently unveiled developer tools for. Otto is a prototype, and Samsung isn't saying whether it will bring the appliance to market, or when. But based on my own observation of Samsung's way of quickly bringing high-visibility prototypes to market as products, I expect Otto or a version of it to become available within the next year or so. Otto represents the future of virtual assistants not only because it is a physical home appliance, but also because it uses facial recognition. That means different members of the family could each have their own set of preferences and personal details, calendars and accounts -- and Otto and other future appliances could base their interaction on the knowledge of whom they're talking to. Shae, Amy and Otto together represent the future of virtual assistants, which will be specialized, personalized, thorough, preemptive, highly intelligent and optionally available in the form of dedicated physical appliances. These three virtual assistants already suggest just how helpful and, well, human our technology will become. Amazon's Echo, Echo Dot and Amazon Tap hardware appliances serve as the voice and ears of Amazon's cloud-based virtual assistant, Alexa. With Alexa, you can get information, order a pizza, turn on the lights, find out how much gas is in your car, call an Uber and do thousands of other things. Alexa has also started appearing in hardware not made by Amazon, thanks to the Alexa Voice Service API and Amazon's Alexa Fund, which sprinkled $100 million around to incentivize third-party hardware makers. Here are three non-Amazon products that feature Alexa. Triby: This rectangular gadget, which starts at $169 (Amazon price - What's this? ), runs on rechargeable batteries and sticks magnetically to a refrigerator door. On its front are two phone speed-dial buttons, two radio station pre-set buttons (for actual radio stations or Spotify playlists), and an e-ink screen that can display electronic sticky notes hand-drawn in the Triby smartphone app. 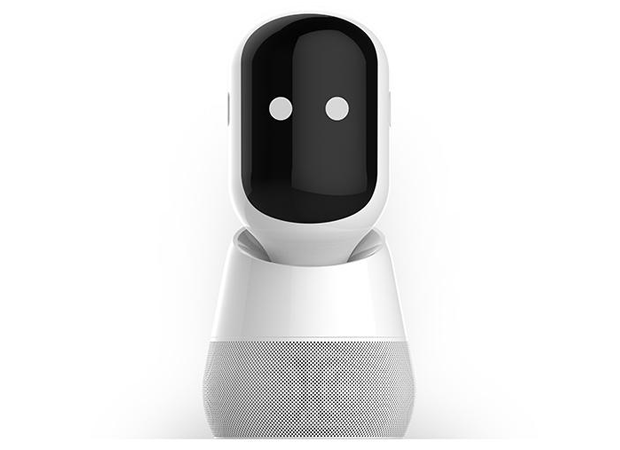 The Triby has sensors that the Echo products do not, including temperature and humidity sensors, but reviewers point out that the Triby's microphones, speakers and performance are generally inferior to the Amazon Echo's. CoWatch: An Indiegogo campaign by startup iMCO raised nearly three times its goal to develop a wristwatch that lets you talk to Alexa. It's called the CoWatch. The $279 device has similar specs to many Android Wear watches but runs on an operating system called the Cronologics OS. That platform looks great, but there aren't any apps for it yet. That said, iMCO says it will perform all standard smartwatch functions, such as displaying notifications, when it ships in July. Roger: Want to use Alexa without spending a dime? A free Android and iOS app called Roger lets you talk to Alexa. You can do via Roger most things you can do with Alexa on an Echo. Third-party "skills" work, as do integrations with home automation appliances. You cannot, however, listen to Amazon Music content or shows from TuneIn, as you can with the Echo, and performance isn't nearly as good. But Roger is the easiest, and certainly the cheapest, way to get Alexa on the go.